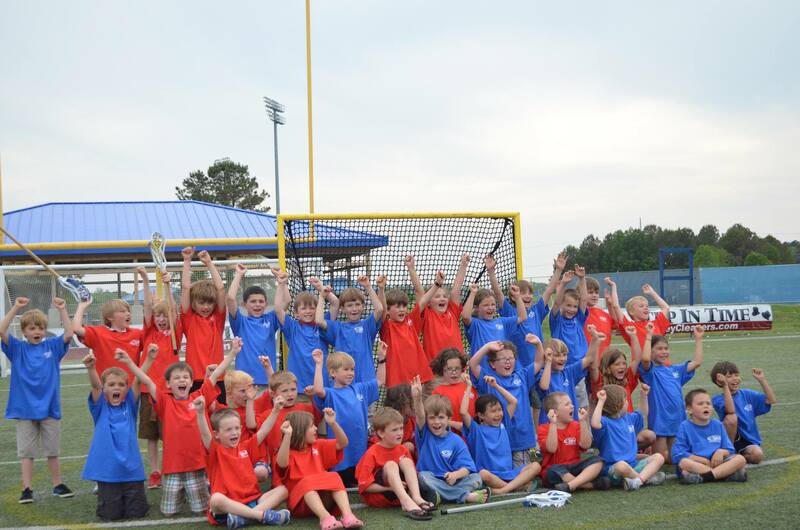 Lacrosse Monsters is for beginning players age 5-8 who are interested in getting their first real lacrosse experience in a fun environment with experienced coaches following the US Lacrosse elementary school syllabus. This is a fun, non-contact introduction to the sport prior to investing in full protective equipment. Lacrosse Monsters is not the same as "Soft Stick" - in the Lacrosse Monsters program we use a real but scaled down Proton Power STX stick with a professionally strung mesh pocket and ash handle. The ball is a soft indoor version that is near regulation size but lighter. We feel that this is a much better way for players to learn as they will develop their individual skills much faster and in a way that quickly translates to regulation equipment and play. A poorly strung pocket or low quality plastic stick actually inhibits player development and progress and can be very frustrating for a beginner. Your player will learn all basic individual skills including passing, catching, scooping, carrying, dodging, defending and shooting. Games are small sided up to 3 v 3 with soft balls and small goals. We teach young players how to work up to the game of 3x (three by) which is similar to half court basketball and helps them learn how to find an open player and move the ball in a fun format. We use 3x for our Advanced and Select players since it also helps players develop a soft touch, quickly find and open player and develop great "finishing" skills while shooting at the goal. The sessions are led by highly qualified V3 Rush staff coaches and the sessions follow the US Lacrosse elementary school syllabus.